With the addition of a small new wing and a new glass-fronted riverfront entrance, the Asian Civilisations Museum (ACM) is getting ready to unveil the first leg of a major internal revamp. 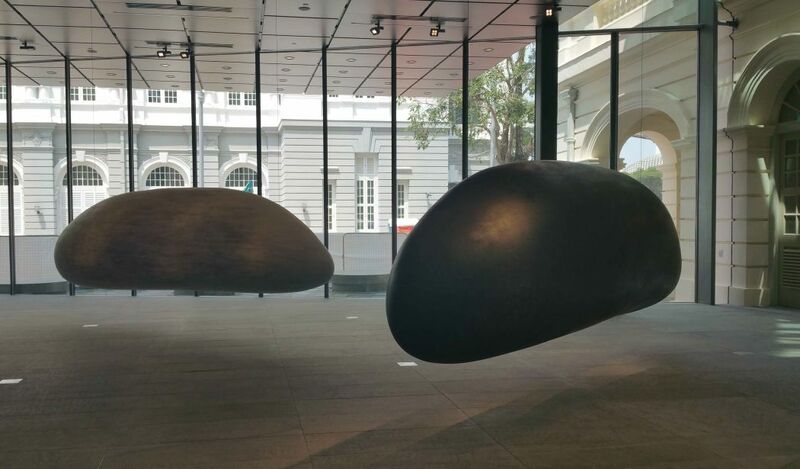 The museum relocated to its current heriate building in 2003 and used to present its artefacts divided amongst four main cultural groups, with galleries devoted to China, India, Southeast Asia, and the Islamic world to reflect Singapore's multiculturalism. The revamped presentation of the collection takes a more radical approach to highlight more the intermingling of cultures and Singapore’s connections with the rest of the world. “We’re going to use the ground floor to explore the idea of trade and on the second floor the concept of religion and belief, and by using these two large categories, we’re hoping to break apart what has been that silo effect,” he explained at a press briefing. “We’re trying to emphasize the idea of a shared culture, rather than a fixed identity,” he added. The museum will continue to organize special exhibitions and has plans for one on Christianity in Asia in early 2016 and then one on the port cities of Asia. Chong described the transformation as a “work in progress” given that it will take another two years before the full transformation of the museum is completed. Two important new displays will be unveiled in the first phase on November 14. The Khoo Teck Puat Gallery, a new covered courtyard facing the river, will showcase part of the Tang Shipwreck collection, a cargo recovered from a 9th-century wreck that attests to the trade links between China and the Middle East, with an array of ceramics and luxurious objects including gold and silver. The second new display will be in the newly built Kwek Hong Png wing. On the second floor a gallery dedicated to scholarly objects with textiles, furniture, paintings, calligraphy, and ancient bronzes. Below, a new contemporary art space will open with Grains of Thought, a large-scale installation by Singaporean artist Eng Tow. A third level, not yet completed, will eventually display a wide range of Chinese ceramics. The second phase of the museum’s renovation will be completed in March 2016, with the final phase expected to be ready some time in 2017.